The Carnival City Macsteel National Classic Cycle Race is organised by Germiston Wheelers Cycling Club and the Rotary Club of Germistion. The event was originally organised by Germiston Wheelers in 1984, known then as The Star 100. It evolvedinto the Germiston Classic, and was held at the Germistion Licensing Department in Wadeville. The Germiston Rotary Club have been involved since 1999 when their involvement was limited to organising the race marshals. 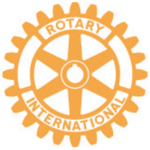 Thereafter these two clubs have worked together as equal partners in organising the event, with Germiston Wheelers providing technical know-how while the Rotary club provides the management and organisational skills. Excellent collaboration exists between the race organisers and the various local authorities through which the event is run. The Carnival City Macsteel National Classic Cycle Race has been one of the most popular races on the cycling calendar, a fact that makes us, the organisers, most proud. Carnival City has been the principal sponsor of this Germiston Classic cycle race since 2001. Four years later, in 2005, Macsteel joined as co-sponsor and every year since then, the relationship between these two principal sponsors and the organisers has been mutually beneficial and most gratifying. Be swept up in the magic of Carnival City Casino, a premier casino and hotel in Gauteng. Family fun provides the backdrop to the entertainment on offer. Consisting of 9 dynamic Business Units and operating from a network of 79 service centres, branches and warehouses, MSCSA supplies the entire sub-Saharan geographic region with the full range of carbon steel, special steel, stainless steel, aluminium products and value added steel processes to all sectors of industry. Macsteel Service Centres SA is extremely proud of its more than 4800 employees, whose commitment, ethics and passion contribute to the company attaining its enviable reputation in the market. Macsteel Service Centres SA’s extensive stockholding, comprehensive product range and superb infrastructure combined with its technical competencies and continuous improvement initiatives enhances its status as the pre-eminent supplier of steel products to a vast valued customer base. Its recent capital expenditure of more than R950 million on additional warehousing and best in practice plant and equipment bears testimony to their unwavering conﬁdence in the future of the steel industry in South Africa and Africa as a whole. Macsteel invites You to test their mettle and forge an enduring partnership with them as Your preferred steel supplier of choice!